Bone spurs may develop in various parts of your body, but your spine -- the edges of your vertebrae, especially -- is one of the most common locations for bone spurs, or osteophytes, to manifest. According to the Spine Health website, back or neck pain is one of the most common symptoms associated with spinal bone spurs. Herbal remedies may help reduce your bone-spur-related symptoms, although it is always wise to meet with your doctor before using herbs to treat your ailment. Bone spurs are smooth projections that form on your spine over prolonged periods, and they are usually indicative of spinal degeneration, states the Spine Health website. Though bone spurs are commonly seen on X-rays in older individuals, many people with spinal osteophytes experience few or no symptoms at all. If you do experience bone-spur-related symptoms, you may feel dull pain in your neck or lower back when you stand or walk; headaches; and pain that radiates into your shoulders, buttocks or thigh, depending on the location of your spinal bone spurs. The leading cause of spinal bone spurs is arthritis, especially osteoarthritis, or degenerative joint disease. To help treat your bone-spur-related symptoms, or to prevent the formation of bone spurs, arnica, chamomile and turmeric may be helpful in treating both arthritis and bone spurs, says Phyllis A. Balch, a nutrition researcher and author of "Prescription for Nutritional Healing." Boswellia, cat's claw, ginger, nettle, noni and olive leaf may also be helpful in controlling your osteoarthritis, adds Balch. Ask your doctor about the efficacy of herbal remedies in treating your ailment. Chamomile may be a helpful herb in keeping your osteoarthritis in check and treating -- or preventing -- bone-spur-related symptoms. 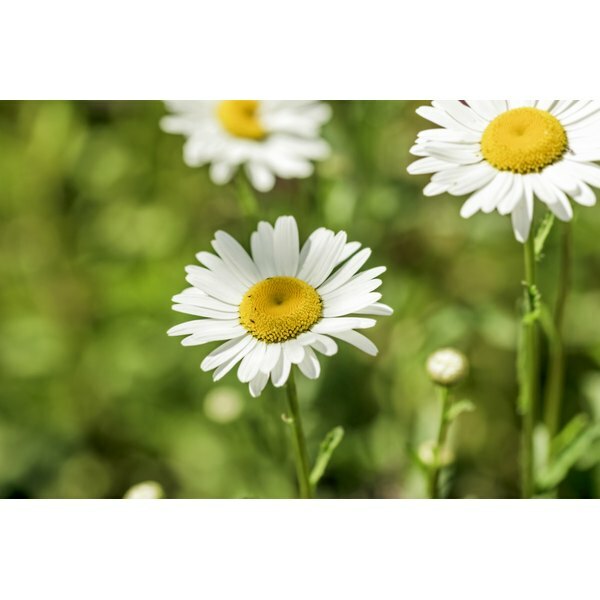 Herbal medicine expert and naturopathic physician Sharol Tilgner, author of "Herbal Medicine From the Heart of the Earth," states that chamomile possesses anti-inflammatory and analgesic, or pain-relieving, action. The anti-inflammatory action of this herb, notes Tilgner, may be attributed to its ability to inhibit arachidonic acid metabolism. Arachidonic acid plays a significant role in injury- or disease-related inflammation in your body. Bone spurs on your spine are usually a sign of degenerative joint disease, which may require the attention and intervention of a physician or other health care professional. If you suffer from back or neck pain and X-ray findings reveal osteophytes on your vertebrae, discuss all possible treatment measures with your primary care provider. Herbal remedies may be a helpful adjunct therapy in treating this health problem, although herbs are not without their own health risks and side effects. Not all herbs may be appropriate for you or your condition. How Can I Get Rid of a Bone Spur on My Knee?